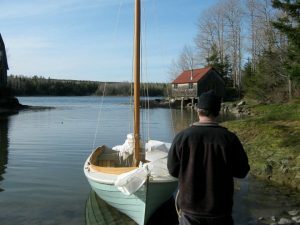 Six years ago today, BELLE launched into the cold April waters of Brooklin Maine. Since then, she’s sailed in the warmer waters of Long Island Sound and, with her new owner, the Chesapeake. It’s been fun!